When did we decide it that was okay to settle for ordinary? After all—none of us start out our lives hoping for average. For a marriage that is just okay. For a career that we tolerate, but don’t really love. For friendships that are superficial. For hobbies and pastimes that don’t really excite us. For most of the time, just trying to make it through the day. Not a life that is perfect, because perfection doesn’t exist, but a life that fills you up and makes you feel whole. What if you could be the wife and the mom and the friend you want to be, the one you know you are inside. What if you could do the work you’ve always wanted to do, the work that sparks your passion and allows you to live in your sweet spot? What if you were finally able to manage and keep track of all those details that so often get you off track and make you feel like you are failing? What if getting dinner on the table was effortless, a natural extension of your day, or you were finally able to get a handle on your finances and begin making your money work for you instead of the other way around? What if you dared to give yourself permission to go after your goals and dreams? To stop putting them off for fear of failure and instead had the courage to do it scared™? This is what the Living Well Planner® is all about. It’s the practical tool that can help you harness the power of WHAT IF. It is your daily reminder that anything is possible. When it first debuted in 2015, I knew the Living Well Planner® had the potential to be life changing. It was the first of its kind—an all-in-one tool not just for planning your days, but for keeping track of your budget, managing your home, planning your meals, and reaching your goals. And in the years since, the feedback we have received has been pretty incredible. This amazing tool really has changed lives! But I also knew we could do even better. And so we’ve continued to refine. I can’t even tell you how excited I am to let you know that our newest edition of the Living Well Planner® is almost here! 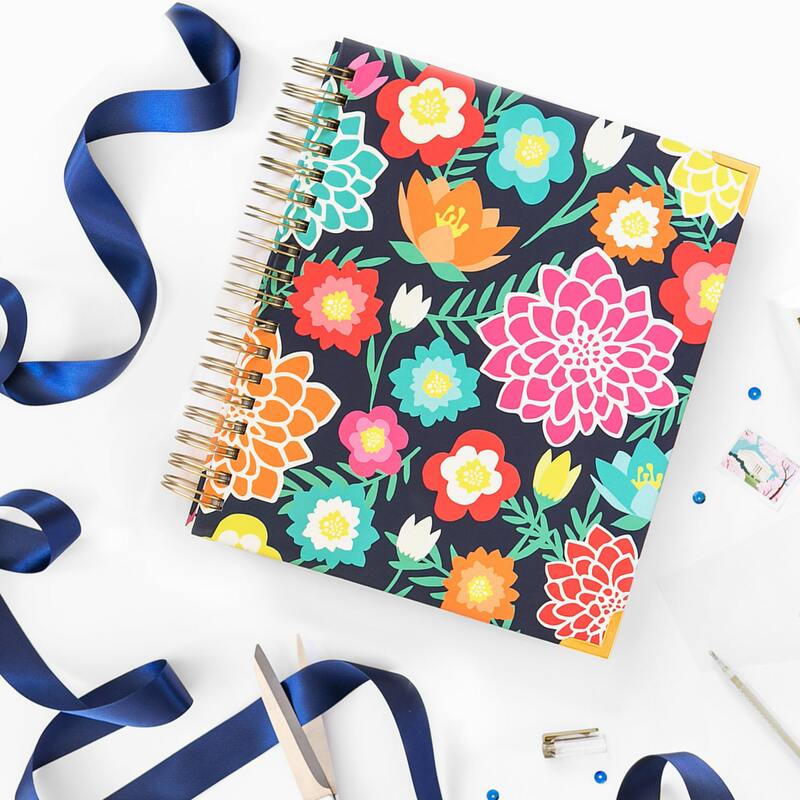 This year our design team completely outdid themselves, and hand-crafted our own signature floral pattern—a collection of bright & beautiful hand-drawn flowers on a sophisticated navy blue background. It’s both colorful and refined, and we think it is the perfect way to take your planning to the next level in the coming year. THICKER PAPER: We took it from 70# weight to 100# weight, a dramatic difference for increased durability, giving you an even higher quality planner experience. REFINED DESIGN: In addition to our new floral cover option, we’ve updated our interior with pretty-yet-sophisticated florals, stripes, and navy accents. It’s the same planner you know & love, just a little more grown up. CUSTOMIZABLE MONTHLY PLANNING SPREAD: Because some people prefer a traditional Sunday start monthly calendar, while others prefer a Monday start to match the work week! Since our customers have always been split down the middle on this issue, we decided to make it work for everyone! Your planner now comes with an additional set of stickers to make your monthly calendar work for you. 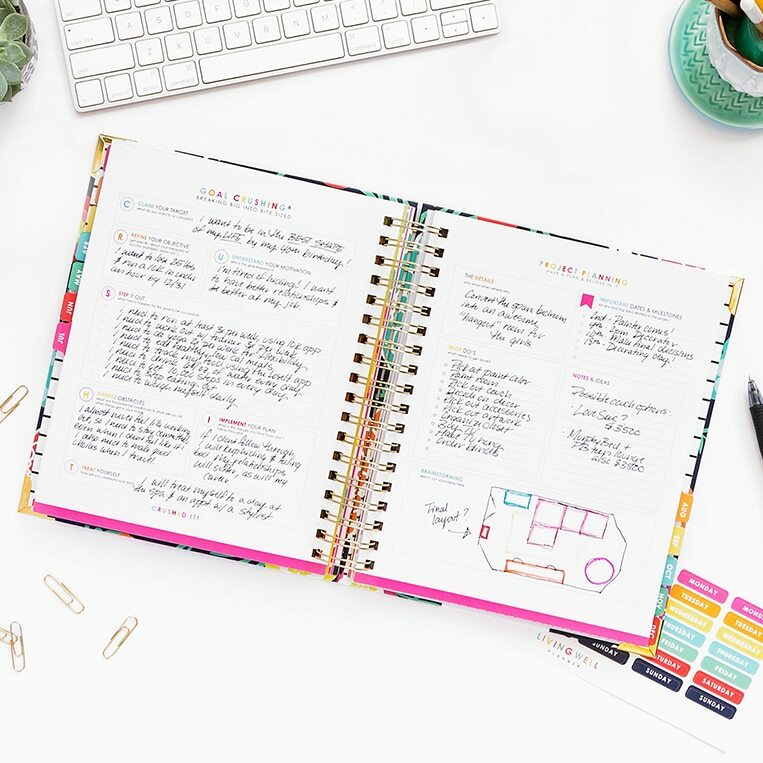 IMPROVED GOAL CRUSHING & PROJECT PLANNING PAGES: Our exclusive Goal Crushing® system has transformed the way our planner users get things done, and so many of our users report that these two pages—found in each and every monthly section—are their very favorite part of the entire planner. Even so, we knew we could make them even better and more intuitive, and so we did! We promise they will rock your world! 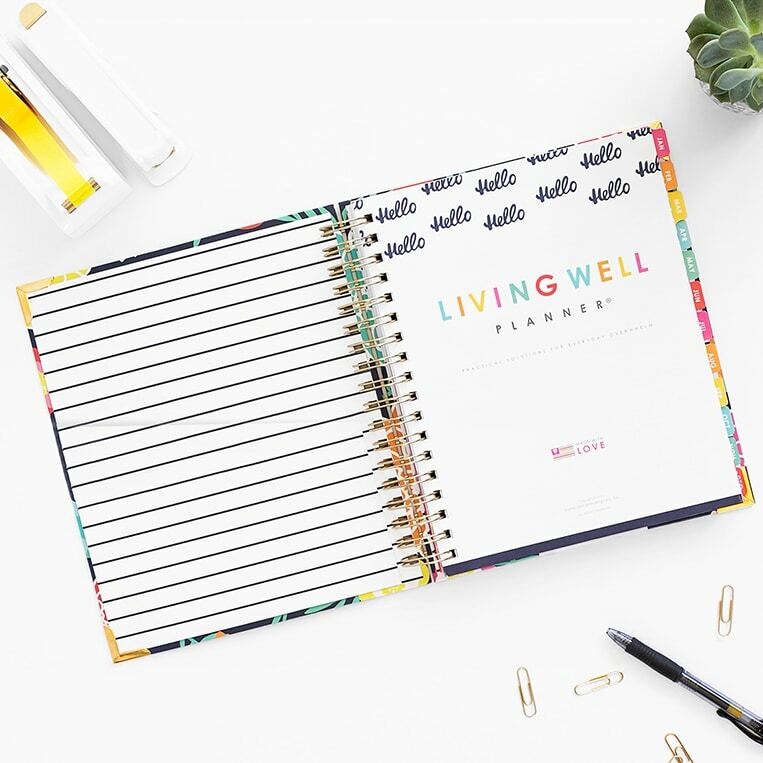 As always, the Living Well Planner® is printed in full color, and comes undated so that you can begin using it at any time. It offers space for planning out the year, as well as monthly goal-setting and monthly budget pages. It also includes labels for customizing your planner, including wrap-around monthly tab stickers that actually help reinforce the tabs while allowing you to easily find the month you are looking for. 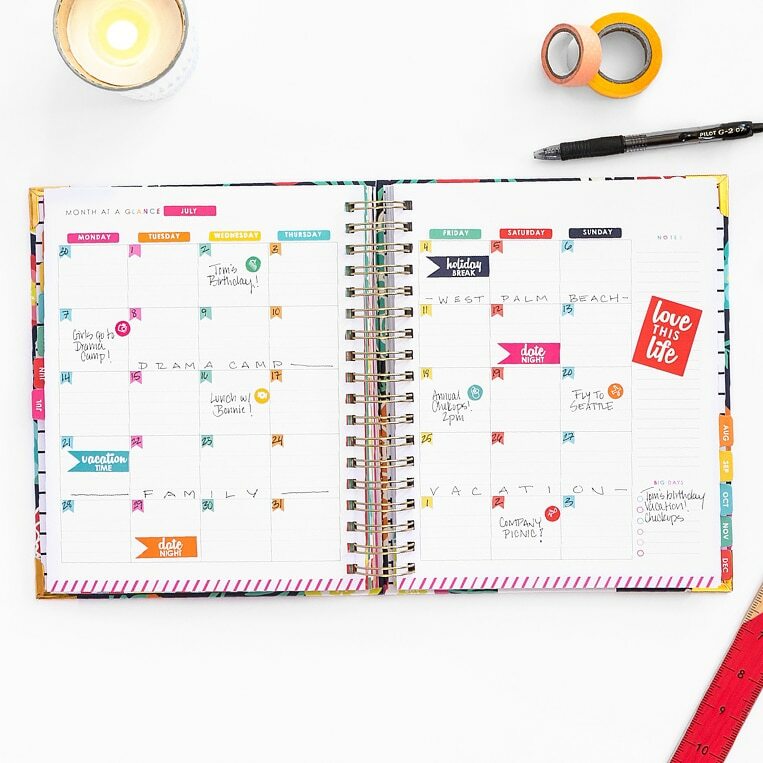 The Living Well Planner® offers a tangible solution to the chaos of a busy life, and it will empower, enable, and inspire you to take back your time and manage your schedule, allowing you to focus on your BIG goals while still navigating the daily, weekly, and monthly responsibilities of running your home. 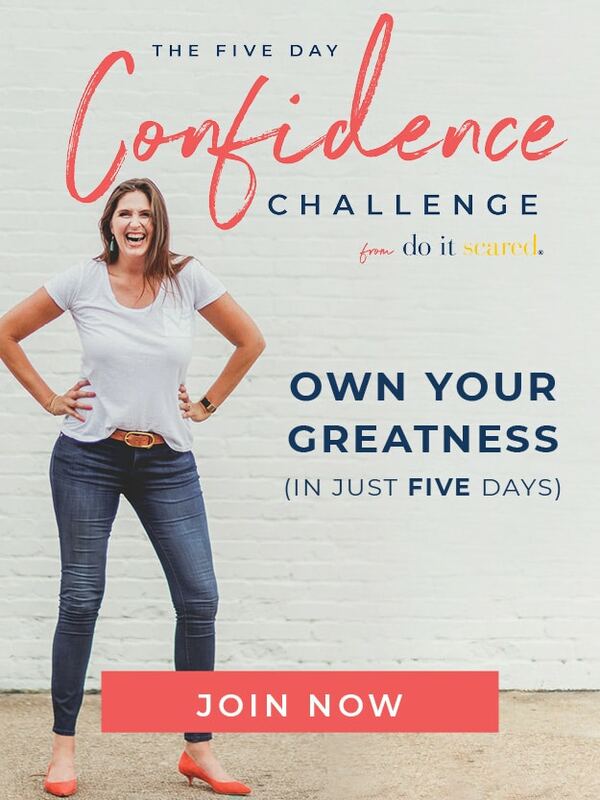 It is designed to help you become the best version of yourself—the mom and wife and friend and person you want to be—while giving you permission to make your biggest goals and dreams a reality. It is the sanity saver we’ve ALL been waiting for! Still not sure if the Living Well Planner® is right for you? 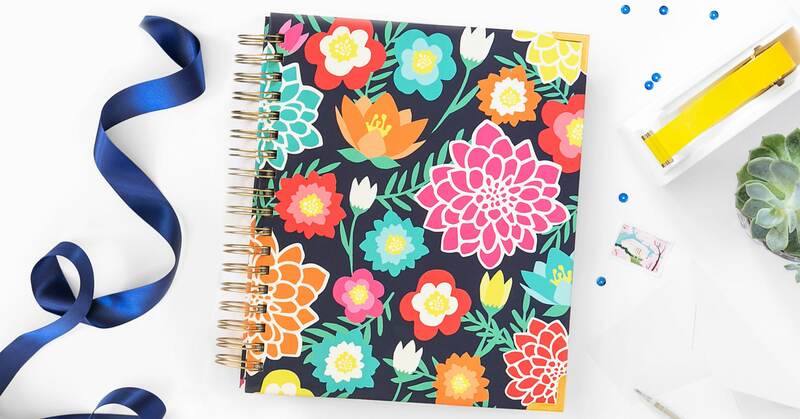 Check out this 3D flip book and learn more about how our planner can help you organize YOUR life! You can still order our Limited Edition Blue Stripe planner HERE. It IS possible to crush your goals and create a life you love. I am interested, but I wish I could see the pages better. Without seeing them, I don’t know if it will work for me or not. Is there somewhere I can actually see what it says on the pages? Just wanted to know can you still get the turquoise stripe with the new and approved information? Hey, just a heads-up: The embedded link to this page from the home page where it says “meanwhile on the blog” has an extra “h” at the beginning of the web address – as in “hhttps://”… so, it doesn’t actually bring you to this page. Hopefully someone on your team sees this and can fix it for you! I’m super excited about the updates and the floral design!! Is the cover plastic like it was a few years ago or is the same construction as the blue stripe? The example only shows one month, correct? The planner itself will be a year of months, right? Please, please consider selling day change stickers for the weekly planning pages…may be that can be purchased separately? 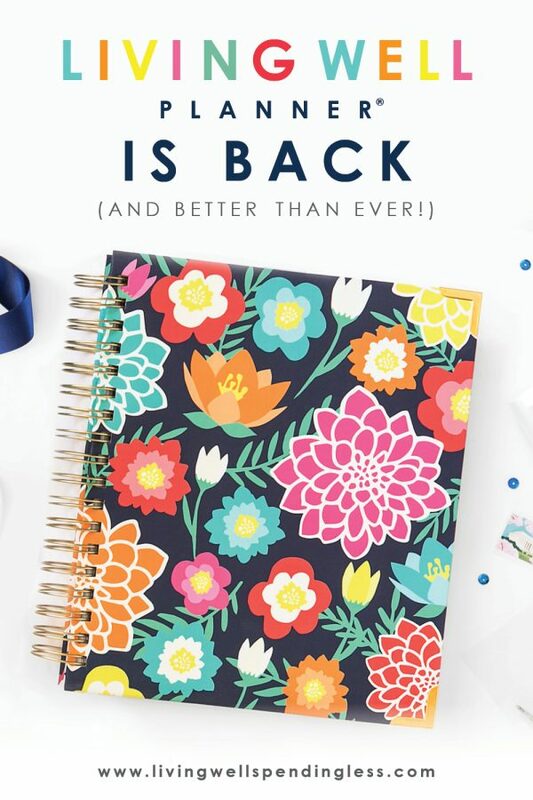 I have purchased your planner each year since you started making planners, and I will be honest…i looked at other brands last year and this year because the Monday start gives me such grief as every other calendar we have (phone, wall, etc.) all are Sunday start. Ultimately I love your planner so I didn’t make the switch either year, but please release sheets of stickers that match your calendar colors so that those who need Sunday start can make this customized change to your planner. I realize there are other sticker options available, but I would prefer to just get them from you so that they are the right size, color, etc. and they blend well. With the month change stickers available this year it seems like an easy jump to take those sheets from the planner and have them printed as stand alone available for purchase. Thank you for your consideration…and for your wonderful planners. Is it still possible to purchase turquoise planner? 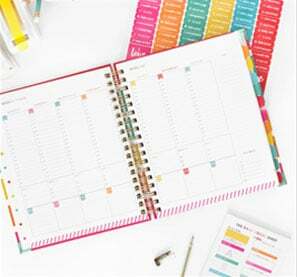 In the future could you offer a planner that has the larger size & format of your original planner AND the current smaller size & format so that customers have options? I liked the previous version a lot because I write larger and am a bit more verbose. Wish you had a digital version! I am looking at purchasing my first Living Well Planner however, I have one question. Does the planner have a pocket in it anywhere. I have to have a pocket to hold stamps, etc. I can’t wait to get my planner! I almost broke down and bought the blue one, but I really liked the beautiful striped & floral patterns! I need this planner so bad. There is really nothing else like it for organizing a busy mom’s life! It it possible to order a hard bound planner instead of the hole punched paper with rings? I carry a backpack in to work due to the long walk from the parking lot. I’ve had other planners that I’ve bent the rings on and the pages start coming loose. If you don’t carry them – can you suggest someone who does?